For three generations, Hinsdale-area contractor Carmody Construction has been servicing the beautiful homes of Hinsdale, IL. Today, the village is home to about 17,000 residents who boast one of Illinois’ highest median household incomes of about $163,000. With that income comes the ability to build and maintain some of the Chicago area’s grandest homes. The median home value in the village is $750,000. As Hinsdale’s top contractor, Carmody Construction, Inc. has completed many home improvement projects in and around the Hinsdale area. We are a family owned business, and we take great pride in providing the very best customer service and top-quality work. When Hinsdale residents bring a contractor into their homes, they need a qualified company they can trust. Carmody’s team of professional window, siding and roofing installers and contractors are the very best in the area. We offer top-notch craftsmanship and high-quality materials. No matter the complexity of your Hinsdale construction project, Carmody Construction can complete it, making the vision of your home your reality. Carmody Construction offers a variety of Hinsdale construction services, from window installation to siding installation to roofing. 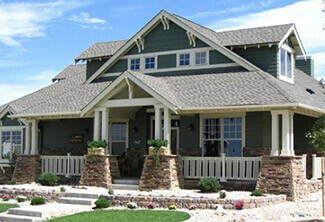 Carmody is also known for our remodeling services and home builds from the group up. Live in Hinsdale? Need Windows, Siding, or Roofing Services? Schedule an appointment today!